While the Ford F 150 is hands down one of the most popular and recognizable trucks throughout all of Canada, many people don’t realize that hot on the F150’s heels is the Ford Escape. The Ford Escape has only been around for about 16 years, which is to say that it’s quite young compared to the rest of the Ford vehicle line up; however, the Escape still manages to move more units than almost all other Fords, with the exception of the F-150. With the crossover SUV segment expecting to continue growing till 2020, more and more Ford Escapes will likely be hitting the road over the next few years. To keep up with the growing demand, the 2017 Ford Escape saw a serious mid-cycle redesign. Ford’s engineers put some serious thought and effort into thoroughly improving the 2017 Escape. With a considerable amount of new technology, sharper design, and a renewed focus on providing unparalleled value for potential buyers, the 2017 Ford Escape is a very polished product sure to appeal to a wide range of owners. What’s the difference between the 2017 Escape & 2016 Escape? The most immediate and striking difference between the 2016 and 2017 Ford Escape is right on the front of the car. The 2017 Escape is noticeable for its much larger, hexagonal, upper grille and hexagonal fog lights that flank an air intake in the center of the car. On Escape models equipped with the EcoBoost, this air intake feeds the intercooler. On Turbocharged Ford Escapes, you’ll find active upper-grille shutters which streamline the way the air flows over the SUV at highway speeds. Looking to the other side of the truck, you’ll notice a slightly wider liftgate and somewhat blockier taillights. With the available Sport Appearance Package, the Ford Escape gets dressed up with black 19 inch wheels and mirror caps, blacked out light bezels, and darkened grille inserts, as well as a host of interior changes, including more supportive seats and leather with very clean white stitching. While the 2016 model saw a slight upgrade year over year from its previous model, the interior of the vehicle was never touched. This was fixed for 2017, as Ford totally redid the interior of the SUV with ergonomics clearly in mind — starting with the parking brake. The traditional brake was replaced with a more modern electronic parking brake. Due to the modernization of the parking brake and relocation of the shifter, the Ford Escape boasts a somewhat more spacious and overall cleaner center console. The extra real estate in the console allowed Ford to redesign the cupholders and add some new cubbies for phones. Even the center armrest got retouched. You may find the armrest to be more comfortable and certainly that it holds considerably more than it used to. The 2017 Ford Escape interior redesign also hit both the steering wheel and the dashboard, which are both more comfortable and easier to see. Finally, Ford also examined the cabin as a whole, and determined that it was just too loud in 2016. As a result, they’ve implemented several noise-reducing technologies, including insulated wheel-arch liners, laminated glass, an acoustic windshield, and more door insulation. All of this combined has led to the least noisy Ford Escape ever produced. These days it seems that no Ford redesign is complete without a total overhaul of all the electronics in the car, and the redesign of the 2017 Ford Escape is no different. The new 2017 Ford Escape is one of the most connected vehicles that Ford has ever produced. For instance, this will be the first vehicle from Ford to offer the Sync Connect system, which allows owners to use the FordPass system. 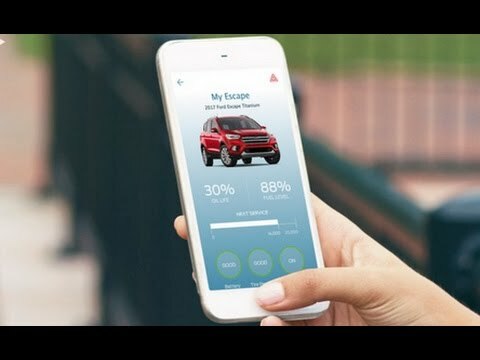 Once connected, the owner can then remotely locate, lock, unlock, and even start their 2017 Escape. Even more interesting, the remote start function can even set the climate inside the Escape exactly when the driver gets in — perfect for the winters of British Columbia. If you stick to a very regimented schedule, you can even have your engine start at the same time every day. Another new feature for the Escape is Auto Start-Stop, which will automatically shut down the engine whenever the Escape stops. The Ford Sync Connect system can even find nearby gas stations, convenience stores, fast food, and more. In fact, we’re most impressed by the Sync Connect system being able to find open parking spots. A very clever new connected system isn’t the end of Ford’s bag of tricks though. The Ford engineering team added a whole suite of new safety technology, like enhanced active park-assist, that steers your car into parallel or perpendicular parking spots for you. Or consider the new adaptive cruise control and collision warning system which automatically apply the brakes to prevent or minimize the harm from a potential collision from the rear or through merging lanes. To top it off, the system even has a driver alert tone which flashes a warning and even vibrates the wheel if it thinks you’re dozing off. And let’s not forget the long celebrated hands-free liftgate in the back, which is capable of opening up the trunk with just the wave of a foot. For 2017, Ford has jammed so much technology into this car that we would not be surprised to see it fully automated in the future. The Escape saw more than just a redesign and a facelift. The new model received a new pint-sized 1.5L EcoBoost engine. 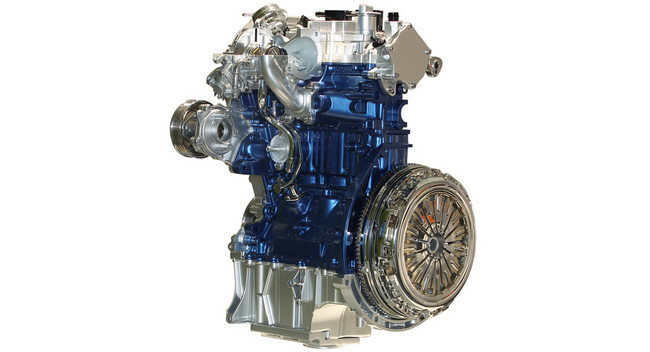 This tiny four-cylinder engine features a turbocharger and is mated to a six speed automatic transmission, available in either front-wheel drive or ‘on-demand’ all-wheel drive configurations. Remarkably, this tiny engine puts out 179 horsepower with 177 pound-feet of torque, which just slightly more powerful than even Ford’s 2.5L engine. Even more impressive is that this tiny engine has experienced no loss in fuel efficiency, with the engine clocking in at 12 L/100km. This actually makes the 1.5L EcoBoost the most fuel-efficient Escape model in the full lineup. The 1.5L engine is not the only offering for the 2017 Ford Escape, though. 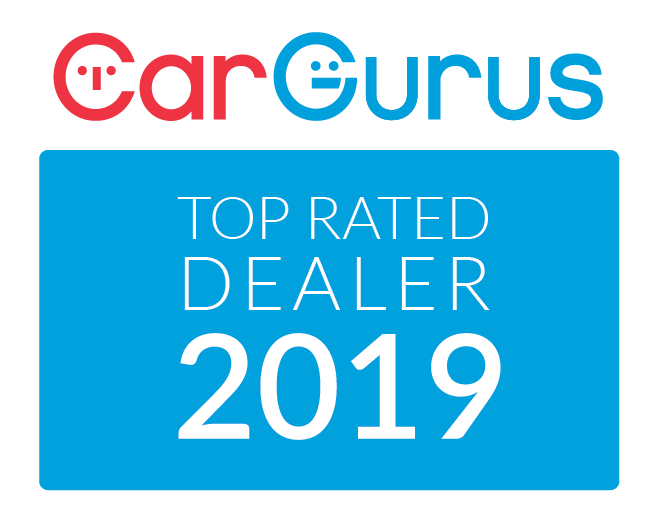 Also available is a powerful 2.0L EcoBoost engine, which delivers an incredible 3,500lb maximum towing capacity, due to its Twin-Scroll turbocharger technology. With the Class II Towing Package (which is what allows the vehicle to reach a maximum weight of 3,500lbs of towing), the Escape has an extra 68 cu. ft of cargo space to ensure your haul fits. The final engine option for the 2017 Ford Escape is the 2.5L engine, which features independent variable cam design (iVCT); however, if it’s power that you’re looking for, then the 2.0L EcoBoost engine is more than sufficient. In fact, this engine offers the highest horsepower available on the Escape at 245 horsepower, or 5 more than the 2016 Ford Escape. The 2017 Ford Escape represents a significant upgrade over the 2016 model, even if this is really just a mid cycle refresh. While the previous models of the Ford Escape have set a precedent as a high selling vehicle, the 2017 redesign has clearly exceeded expectations. Between the full interior redesign, the implementation of a whole suite of new technology, and a brand new engine offering, the small SUV has come a long way, and it doesn’t seem as though Ford will be slowing down anytime soon. Are you interested in the 2017 Ford Escape? Contact Mainland Ford today to set up your test drive! Come see why exactly the Ford Escape is one of the best-selling vehicles across all of Canada today!